There are many companies that offer to let you check your Credit Score for free, but with a catch! You'll have to sign up for something else that costs you money. There is however, one company that I myself use, CreditKarma, that provides this information for free. You don't have to provide a credit card number or anything. I read many reviews about this company before signing up, and they came highly recommended, so I gave them a try. After having used them for many years now, I can tell you that the reviews were correct - it is a great free service. Plus they provide many great tools to improve your Credit Score. They are able to offer this free service due to advertising, and because, based on your credit information and scores, they are able to determine which credit offers (such as credit cards and loans) would be best for you and they "recommend" these offers to you. You can ignore them, or if you're looking for additional credit, or to consolidate, you can apply for one of the suggested/recommended offers. They provide you with 2 scores from the Credit Reporting Agencies that automatically update each month from TransUnion and Equifax. Once you've signed up, from then on, when you log-in, you will be taken to a screen that provides your "Financial Overview." This page contains your current credit scores from TransUnion and Equifax, plus any New Accounts Reported (i.e., new credit cards), your Account Balances (i.e., credit card, loan, mortgage balances), Overall Credit Card Utilization (how much of your available credit you have used), and Near Credit Limit (any credit cards, etc. that are nearing their credit limits). In-between this information are the Ads and Suggestions that I informed you of earlier. After you have reviewed this page, you can then return to the top of the page, and just under your Credit Scores, you will see 2 links: Credit Reports and Score Details. TransUnion and Equifax information are listed side-by-side for comparison purposes. You will notice that the information is condensed, so you will not see as much detail as you would see on your Annual Credit Report from the Government, which is nice, because you don't always need to see all of this clutter and confusion. Just the basics, ma'am! But, if you see a problem, or if you need to see that additional detail, you can click on the link and it's all there for you. This section shows you the factors that impact your credit score. This section is very helpful when increasing your credit score if you know how to use it. To simplify things, and so that you'll always know what affects your score, I've broken down each section below. CreditKarma provides a handy assessment of how you're doing by percentage and Grade (from Poor to Excellent). In the lessons below, you will see that I refer to the factors impacting your score as your "Report Card." This is because in the old system that CreditKarma used to help us to improve our credit, they referred to these items as Grades and Report Cards. It was fun to see your Grade go from a C to an A when you improved one of these factors. They have since changed their system slightly and don't use Grades A-F and Report Cards, but use the terms (Poor, Fair, Good & Excellent). Either way, you can still chart your improvement. Credit Card Use: (High Impact on your Credit Score) This is how much of your Credit Cards you have used up. In other words, if you have a $500 Credit Limit on a Credit Card, and your balance is $500, then you've spent your entire credit limit, and this will earn you a "Poor" on your Report Card. The trick to getting an "Excellent" and thereby higher credit score, is to use less than 20% of your available credit. So, with this same $500 Credit Limit example, you should keep your balance on that card at $100 or less. If your balance on this card is $96, you will earn an "Excellent." I advise you to write down all of your credit cards, along with the Credit Limit granted to you, then calculate what 20% of that Credit Limit is, and pay down your cards to that figure or less. 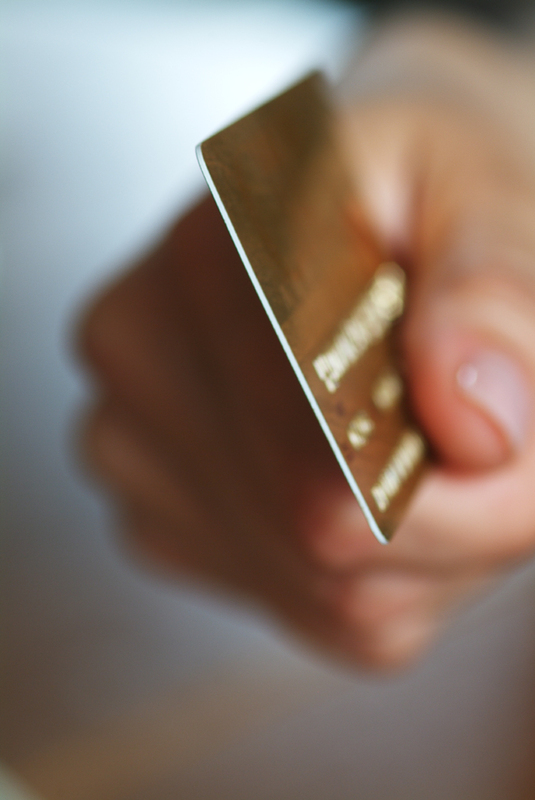 Tackle one card at a time and watch your Credit Score rise! If you can pay off the full balance of the cards each month, even better; but definitely aim for the less than 20% number at minimum. Payment History: (High Impact on your Credit Score) Pay your bills on-time. If you have a problem remembering when to pay each bill, then set-up Automatic Bill Pay with your bank's checking account. Set-up those important bills to be paid on paydays or shortly thereafter. Be certain to pay the bills that affect your credit on-time (Mortgage, Rent (in some cases), Auto Loan, Credit Cards) first. Some of your other bills (such as utilities, etc.) can be negotiated (i.e., asking for an extension to pay) if you must run a few days to a few weeks late in paying. You may pay a small late fee,but your credit will not be affected, unless you stop paying and a judgement is placed against you. Derogatory Marks: (High Impact on your Credit Score) You will receive a derogatory mark for things like Judgements, Bankruptcy, Liens, Unpaid Credit Cards or Medical Expenses that went into Collection, etc., so you must try to keep these off of your record. -0- Derogatory Marks will earn you an "A," and 1 Derogatory Mark will earn you a "B." If you already have one or more, all is not lost. Work to remove as many as possible, and let the others fade away with time. Use that time to increase your scores in other areas. Credit Age: (Medium Impact on your Credit Score) The longer you have an account, the better it reflects on your credit score. For instance, Credit Karma informs you that having an account for over 8 years will bring you an "Excellent," and having an account for only 1 to 2 years will bring you a "Poor." This is why you should not close old accounts (such as credit cards). Even if you pay them off completely, don't close them. Keep them and use them periodically, just to generate some activity (it can be a one-time use) every 3 months or so, or once a year. In the old days, before I knew this, I would close all paid off credit cards to keep myself from re-spending and running up the balances again. Who knew that I was doing the wrong thing for my credit, when I thought I was doing the right thing for my credit and finances by forcing myself not to spend and owe money. Mind you, it's going to take discipline not to run up the balances on those cards that you're now forced to keep, but you MUST NOT run up those balances - NO WAY, NO HOW! It's a stupid system, because it's like telling someone with a cigarette addiction who is trying desperately to kick the habit, "We're going to leave this cigarette here in front of you everyday - but don't you smoke it!" ☺. Total Accounts: (Low Impact on your Credit Score) According to Credit Karma, you would need 21 or more accounts on your Credit Report to garner an "Excellent" rating on your Report Card. I will probably never reach this number, yet I've found that I don't need to in order to get a great credit score. Why? Because the number of "Total Accounts" has a low impact on your overall credit score. Also, if you're young and/or just starting to establish credit, you will not reach anywhere near this figure for some time. Do not run out and get tons of credit cards to attempt to meet this number though, because this could land you in danger as well - especially if you cannot afford to keep up with all of them, or do not have the strength of will not to run up all of the balances on unnecessary purchases, or during an emergency! Hard Inquiries: (Low Impact on your Credit Score) Did you know that every time you apply for credit, and someone pulls your credit report (except you), this counts negatively against your Credit Score? It may seem unfair, but it's true. So, don't go around applying for credit, just to get a Free Toaster or a Free Set of Mugs. According to Credit Karma's Report Card, you would need -0- Hard Credit Inquiries to garner an "Excellent" on your Report Card for that month. Of course you must occasionally apply for credit, and 1 to 2 inquiries will earn you a "Good." I hope that I have helped you to better understand what affects your score.Take advantage of the tools offered by Credit Karma. It will actually become fun using the tools that I mentioned above, and that they provide. Then watch your score rise. Knowledge is Power, and great credit ROCKS! There are many other pages and tools that you can explore on CreditKarma, but the ones mentioned above are the most important. Many Credit Card companies are offering select customers Free Access to their Credit Score either monthly or as often as they wish to view it! You may need to opt-in to the program. Simply sign up through their website and you can monitor your credit score - it's that simple. You may need to authorize them to see the score as well, and they may make decisions regarding your credit worthiness based on that score, but heck, they had access to this information already. You've simply made it easier for them to view it. 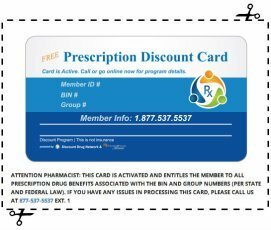 You can usually cancel your membership in the free program anytime you wish, just be certain to read the Agreement carefully before checking the box. Here are the credit card companies that I believe are offering these services at this time. Please check with your card carrier to confirm and/or to see if they offer this free service.